Our recovery program utilizes revolutionary techniques to help increase strength, endurance, balance and coordination needed for daily activities. This program is best for people with a history of stroke/CVA. Even if you have not had success with other treatments this program is for you. We address the root cause rather than merely treat the symptoms. This results in a more long-lasting relief and is highly effective in preventing a recurrent problem. 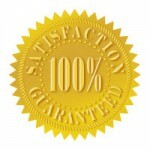 Our advanced techniques will promote a fast recovery and may help conditions where all previous therapies have failed. 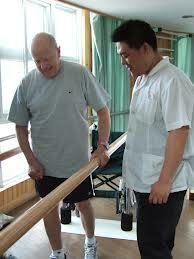 Having a Physical Therapist who is comfortable and competent in the rehab process is essential for maximal outcomes. The Physical Therapy team at Back In Motion, Sarasota Physical Therapy perform stroke recovery every single day with success. Inactivity – newly diagnosed strokes only have a 6-12 month window of opportunity to improve strength, balance and coordination. Therapist who do not utilize individualized exercises to improve strength and mobility. Don’t put it off any longer. The longer you wait the more serious your problem may become. Prevent secondary or late-effects of having a CVA. There is only a 6-12 month opportunity for newly diagnosed stroke patients to regain strength. Don’t let your problem get to the point of no return. Call and schedule an appointment today and you’ll receive a FREE 30 minute massage voucher.